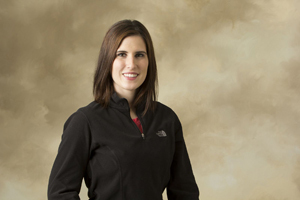 Shanna Clabaugh, DC, formerly of Jackson, MN opened Natural Family Chiropractic in Spirit Lake, IA December 2012. She currently resides in Spirit Lake, IA with her husband (Brian) and two sons (Noah and Levi). Because of daily headaches and frequent migraines, she was introduced to chiropractic when she was a teenager. Chiropractic was the only thing that gave her long term relief. While going to the chiropractor, Shanna was inspired by the relationships that were created and how people’s lives, including her own, were changed by chiropractic. Shanna graduated from Northwestern Health Science University in Bloomington, MN earning two degrees; doctor of chiropractic and a Bachelor of Science in Human Biology. Along with her chiropractic education, she attended classes to become board certified in Chiropractic Acupuncture. Shanna has attended classes for the Webster technique. She is passionate about families having the right to make informed conscious choices for their family. Shanna believes that birthing is a normal process that a majority of woman can achieve with minimal assistance. Shanna sees the importance of living the chiropractic lifestyle and gets adjustments regularly to make sure her nervous system is working to its capacity. She is excited to pass on the news of chiropractic, even if you don’t choose Natural Family Chiropractic. You can contact her by calling (712) 336-2626 or email drshanna@naturalfamilychiro.com.